Originally born and raised in Detroit (Motown) Michigan, Jane Vanderbilt began her DJ/Promoter career with GrooveTribe playing along side of the artists like George Clinton & the P-Funk All Stars. She booked and opened up for the artists like Tiesto, Paul Oakenfold, BT, and many more. Jane is actively recording and creating DJ sets that will take her live performance to the next level. Jane’s material is a cross between pop, indie/disco, and house, all of which are inspired by her MoTown roots. Currently, Jane is collaborating along side DJ/Producer MixMaster Funky Junction aka Constantino Padavano with his VOTU/Sheeva Records crew. 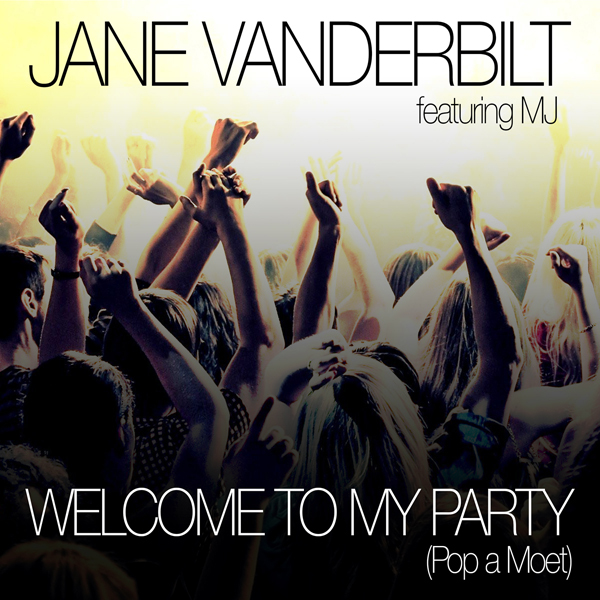 DJ Jane Vanderbilt‘s latest single and club banger, ‘Welcome to My Party (Pop a Moet) (feat. MJ)‘, is now available on Radikal Records. Produced by Costantino “Mixmaster” Padovano (AKA Funky Junction) and Pri yon Joni, the original mix is powered by a heavy 90’s underground club sound, perfect for setting off any party’s dance floor. ‘Welcome to My Party (Pop a Moet) (feat. MJ)’ is available for download on iTunes, Beatport, and Bandcamp. The single is also streaming on Spotify. Follow Jane Vanderbilt online on Facebook, Twitter, Instagram.